The project focuses on creating green spaces as effective elements which ameliorate air quality absorbing chemicals from the atmosphere. 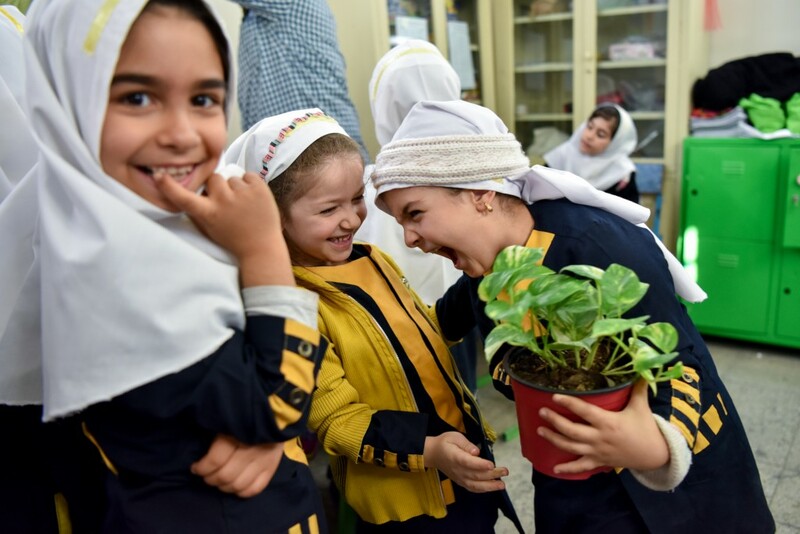 In order to develop an alternative pedagogical approach into Tehran's public schools, the initiator, in close collaboration with the botanist Shahrouz Hakimi, formed different teams of people with different backgrounds such as art, physics, chemistry, biology, statistics, math, and agriculture, who can collaborate and shape the program. After a year of negotiation with some private and public schools, they all contribute to a series of workshops for pupils to improve the school conditions as well as achieve results that benefit both pupils and the school staff. Such activities lead to creating a sense of accountability which will, in turn, contribute to a cultural and artistic exchange between pupils and teachers. After a research about the educational system and its curricula, and after reading the school books, the initiator noticed a lack of environmental topics and botany, which are fundamental aspects of student's training. 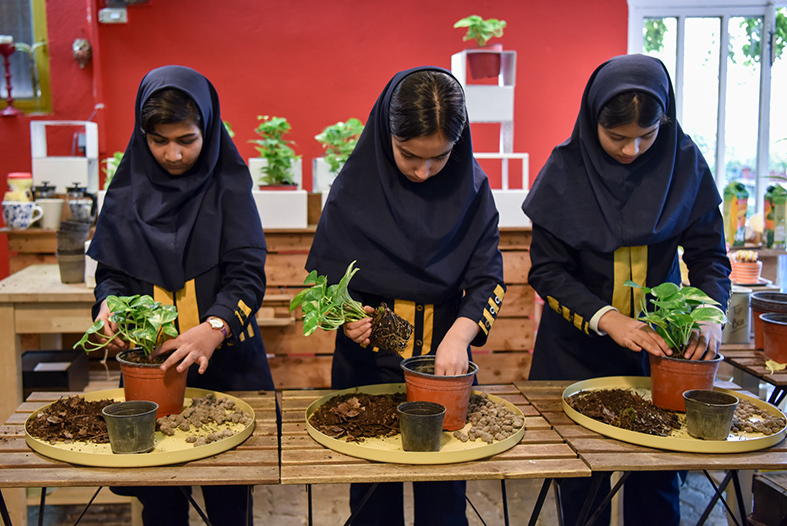 Educating pupils about the basics of caring for indoor plants can lead to more attention to plants, trees and the problem of climate change. "Green Corners" is the fifth phase of "Tehran Monoxide", a cultural and socially engaged art project, which has been going on since 2011, in the form of independent projects, in collaboration with artists and citizens from Tehran in public spaces. To offer practical solutions to the problem of air pollution in Tehran by creating and redefining new spaces. It reflects the viewpoints of people from all walks of life, from children to adults in terms of the issue of air pollution, what they cannot see, but do breathe. To educate pupils aged from 5 to 18 about caring and maintaining indoor plants. To offer environmental education and art practice, that students cannot find in their school books. Creating green spaces as a beautiful and effective element not only to turn educational environments into more charming places, but also familiarizing students with plants that promote air quality, absorb chemicals and aerosol and transpire. Instilling a sense of responsibility and collaboration in pupils to take care of plants and public green spaces. Teaching pupils how to take care of indoor plants step by step. They started with caring for low-maintenance plants, and after the completion of the program, they received a certificate and move onto the next level where they were offered new plants to take care of. The initiators succeed in proposing and accessing the public school system in Iran with their workshops.